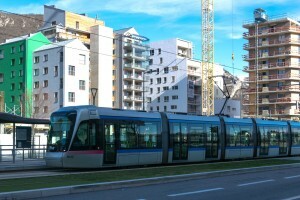 Awarded by the government “Investments for the future”, Grenoble is making sustainable building a priority, in particular in the Presqu’ile area. For this purpose, the city relies on new technologies and innovations. City-zen takes part in this ambitious project. In addition to being a university and research campus, the Presqu’ile area will host many new residents and businesses. The first restaurant opened beginning of 2017, and other stores, such as a bakery and a pharmacy, will follow soon. By the end of 2017, more than 400 family dwellings and almost 400 student apartments will be delivered. The heating and cooling of all of these new buildings will come from geothermal exploitation of groundwater. 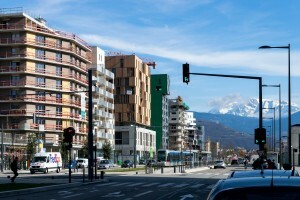 The newly built, high energy efficient, residential buildings contain heat pumps extracting heat (for heating homes and domestic water) from the ground water during the winter, and allowing also a passive cooling during the hot summers of Grenoble. This renewable energy-based system helps to achieve the objective of energetic performance target at Presqu’ile : 30% better than the French thermal regulation. There is however one downside to using geothermal energy on such a large scale: research showed that the outlet water of the heat pumps influence each other negatively. This effect could be significant as the area will be very densely built, allowing only limited space between the individual heat pumps. 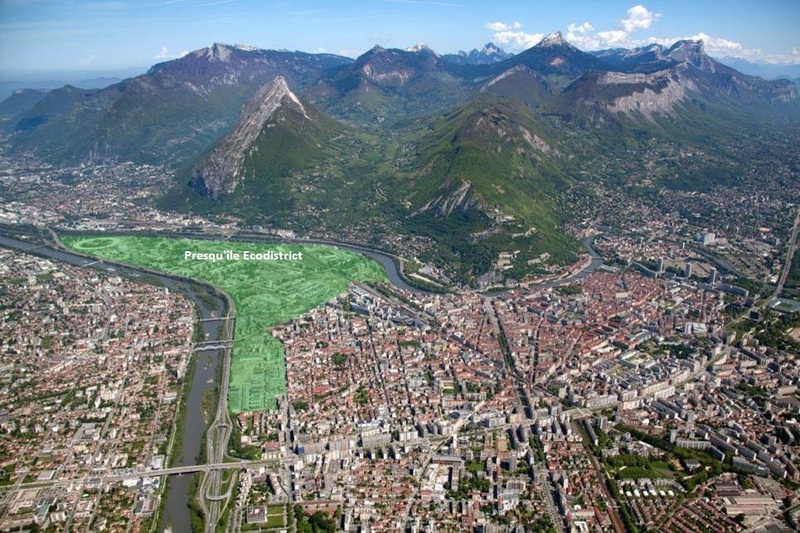 For this purpose an innovative solution was developed by the u rban developer of this area, Innovia: a geothermal borehole (inlet) per building that collects water rejected by the heat pump (outlet) in a dedicated drainage network into the Isere river. This innovative solution of a collective outlet water drainage network is a good solution for areas where groundwater heat pumps are being applied in high density. 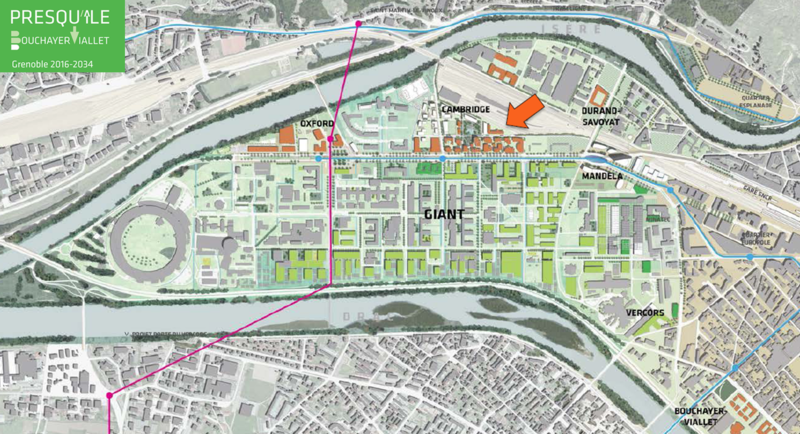 The first loop of the network is already operating in Cambridge sector, and each new building is plugged into it when delivered.